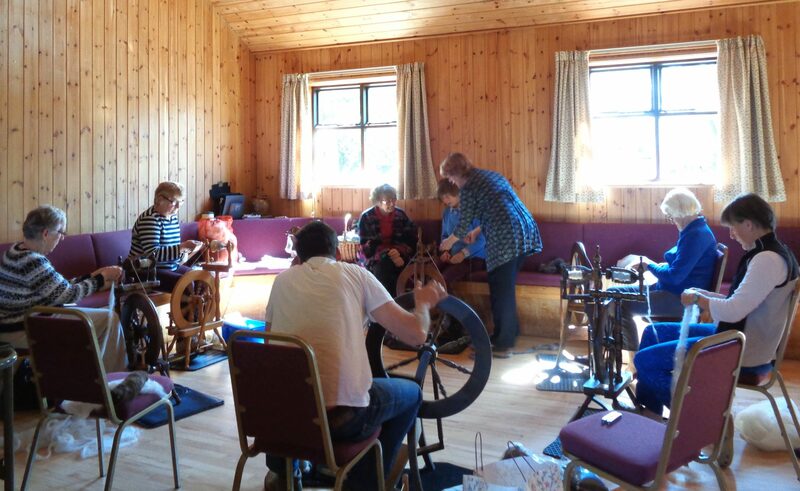 Spinning and Wool-crafts with Carol Hine. The group meets fortnightly at Millhouse Village Hall during term times. An experienced spinner and teacher, Carol Hine runs the sessions. You can bring your own spinning wheel and some are available to borrow. Outings to mills and fleece producers have also been arranged as well as a specialised dyeing day to experiment with colours and techniques. See Diary of Events for latest dates and times, or Contact Carol Hine on 016974 76308 for more details.